Diva is a Trinidadian deep-sea biologist who studies what lives in our world's deep oceans, and how we, humans, are impacting it. She is currently undertaking a two-year Marie Skłodowska-Curie research fellowship at the Natural History Museum in London, UK. 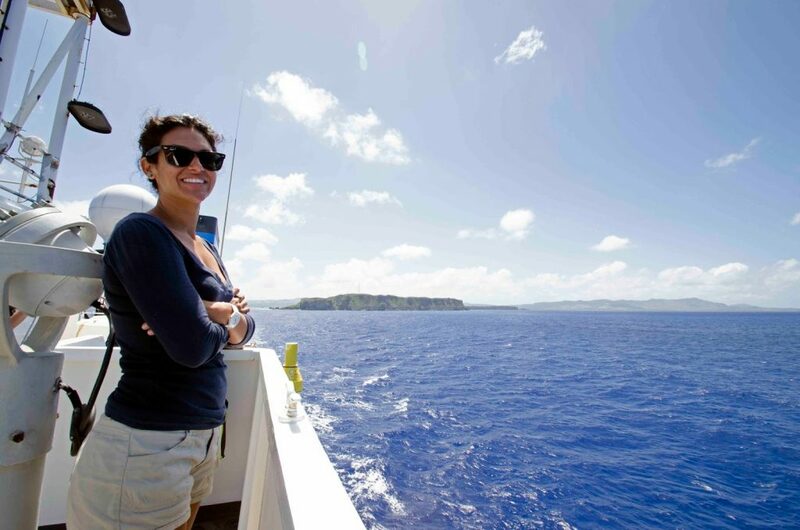 In 2013, she completed her PhD at the University of Southampton, UK, after which, she spent three years at the University of Hawai’i, USA, researching the largely unknown abyssal fauna of the Clarion-Clipperton Zone, an area targeted for deep-sea mining in the Pacific Ocean. Throughout her career, Diva has participated in deep-sea expeditions around the world, exploring and studying previously unknown habitats. She has done a considerable amount of science communication and public engagement, with her work featured on CNN International, National Geographic, BBC World and more. Diva is also a co-founder of the non-profit NGO, SpeSeas, dedicated to marine science, education and advocacy in Trinidad and Tobago and the wider Caribbean. You can find her on Twitter (@DivaAmon) or visit her website (https://divaamon.com/).